Like other titles in this series, it is questionable how helpful this book actually was for aspiring engineers. 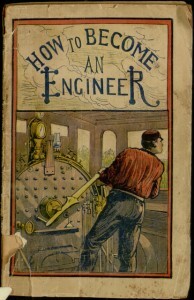 The primary advice repeatedly offered by the book boils down to “work hard, pay attention, and you’ll learn what you need on the job.” The instructions for building model trains are complex, hard to follow, and at least a little bit dangerous (the steam-powered engines could explode if improperly built). In spite of these significant limitations, though, the book is more readable than some of its series-mates, with an enjoyable history chapter at the beginning and a conversational tone throughout. Certain characteristics of past Tousey titles (tonal inconsistencies, references to sections that do not exist, etc.) have suggested that the publisher “borrowed” text from other sources. 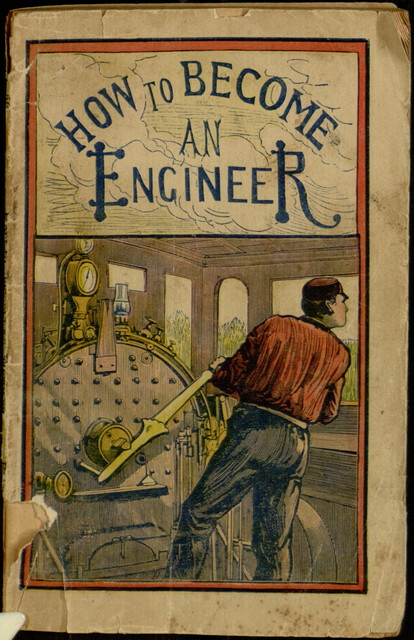 Further evidence was found during the production of this eBook, as it was discovered that some of the images here were lifted from the British publication Locomotive Engine Driving: A Practical Manual for Engineers in Charge of Locomotive Engines. If the graphics in this edition are difficult to read, going back to the earlier source offers clearer images. The entire book can be read online or downloaded in a variety of popular eBook formats through Project Gutenberg.